Objectives Patients with advanced disease sometimes express a wish to hasten death (WTHD). In 2012, we published a systematic review and meta-ethnography of qualitative studies examining the experience and meaning of this phenomenon. Since then, new studies eligible for inclusion have been reported, including in Europe, a region not previously featured, and specifically in countries with different legal frameworks for euthanasia and assisted suicide. The aim of the present study was to update our previous review by including new research and to conduct a new analysis of available data on this topic. Setting Eligible studies originated from Australia, Canada, China, Germany, The Netherlands, Switzerland, Thailand and USA. Participants Studies of patients with life-threatening conditions that had expressed the WTHD. Design The search strategy combined subject terms with free-text searching of PubMed MEDLINE, Web of Science, CINAHL and PsycInfo. The qualitative synthesis followed the methodology described by Noblit and Hare, using the ‘adding to and revising the original’ model for updating a meta-ethnography, proposed by France et al. Quality assessment was done using the Critical Appraisal Skills Programme checklist. Results 14 studies involving 255 participants with life-threatening illnesses were identified. Five themes emerged from the analysis: suffering (overarching theme), reasons for and meanings and functions of the WTHD and the experience of a timeline towards dying and death. In the context of advanced disease, the WTHD emerges as a reaction to physical, psychological, social and existential suffering, all of which impacts on the patient’s sense of self, of dignity and meaning in life. Conclusions The WTHD can hold different meanings for each individual—serving functions other than to communicate a genuine wish to die. Understanding the reasons for, and meanings and functions of, the WTHD is crucial for drawing up and implementing care plans to meet the needs of individual patients. This updated review and synthesis of the published literature on the wish to hasten death (WTHD) offers a more nuanced understanding of the phenomenon. The review provides meta-ethnographic analysis of the 14 studies that recorded the experiences of 255 participants from different cultural backgrounds including Australia, Canada, China, Germany, Switzerland, Thailand, The Netherlands and the USA. This synthesis highlights suffering as an overarching theme and includes physical, psychological, social or existential factors. The synthesis exemplifies a new approach to the updating of syntheses of qualitative research. Included studies offer different conceptualisations of the WTHD with the research objectives of some studies only touching indirectly on the phenomenon. Few issues in modern society generate as much controversy as euthanasia and assisted suicide (EAS) among people facing an advanced illness. Across the world, opinions and attitudes towards this issue differ widely. Debate, however, often centres around the implications for society or the existing legal framework. What is often overlooked is the common thread that links all those persons who contemplate ending their life: the desire to die or to hasten their death. Why do some patients with advanced disease wish to hasten their death? What meaning does this wish hold for them? What is the experience of a person who feels such a wish? To what extent do commonalities exist among those who come to feel this wish? Although the desire to die has traditionally been seen to result from physical suffering, research suggests that this explanation is reductionist1 and that such a wish must be understood in the context of patient experience. Thus, while cross-sectional studies offer valuable information about what may trigger a wish to die, the fluctuating, ambivalent, subjective and complex nature of such wishes requires a more detailed examination of patients’ experiences. In 2012, our group published a systematic review and interpretative synthesis5 of then-published qualitative studies of the WTHD in seeking to understand the experience of patients with serious or incurable illness who expressed such a wish. The synthesis included studies conducted in Canada,1 6 Australia,2 China7 and the USA.8 At that time, however, no such studies were identified from European countries. Five years on, the subsequent publication of qualitative studies of the WTHD, among similar patient groups, and in different contexts to those featured in our earlier synthesis, justifies the need for an updated systematic review. In addition, the possibility of including studies from European countries in which EAS has been decriminalised4 9–11 enables us to explore the extent to which different legal contexts influence the expression of a WTHD. The aim of the present study was therefore to provide an updated review of knowledge regarding the WTHD (understood here as any expression of the desire to die in patients affected by a life-threatening condition), taking into account possible contextual differences. France et al 15 propose various models for updating meta-ethnographies, using the analogy of house-building. This review applies the model they refer to as ‘extending and renovating the original house’ (ie, adding to and revising an existing meta-ethnography). France et al 15 outline potential advantages of using this model: the output forms a single coherent model or set of findings, rather than two, to increase its potential usefulness; it can lead to new conceptual insights; and it allows for innovation within the updated analysis/synthesis, while making efficient use of resources expended on the original meta-ethnography. In seeking recent clinical evidence about the WTHD, we revised our original search strategy to optimise the trade-off between sensitivity and specificity (see table 1). Relevant MeSH and free-text terms were identified and combined. The strategy was run in PubMed, CINAHL, Web of Science and PsycINFO with the terminology being adapted to each database. A filter for qualitative studies was used in PubMed,16 CINAHL17 and PsycINFO.18 The qualitative PubMed filter was adapted to the specific language used by Web of Science. To be included, papers had to report primary qualitative studies (ie, studies using recognised methods of both qualitative data collection and qualitative data analysis) written in English and focusing on the expression of the WTHD in patients with life-threatening conditions. Paediatric populations were excluded, as were studies focusing on older populations in the absence of advanced disease. One researcher carried out the systematic literature search, which was verified by another researcher. Screening involved selection of retrieved citations by title, abstract and full text. The entire sample was double-reviewed. Disagreements were resolved by discussion within the research team. 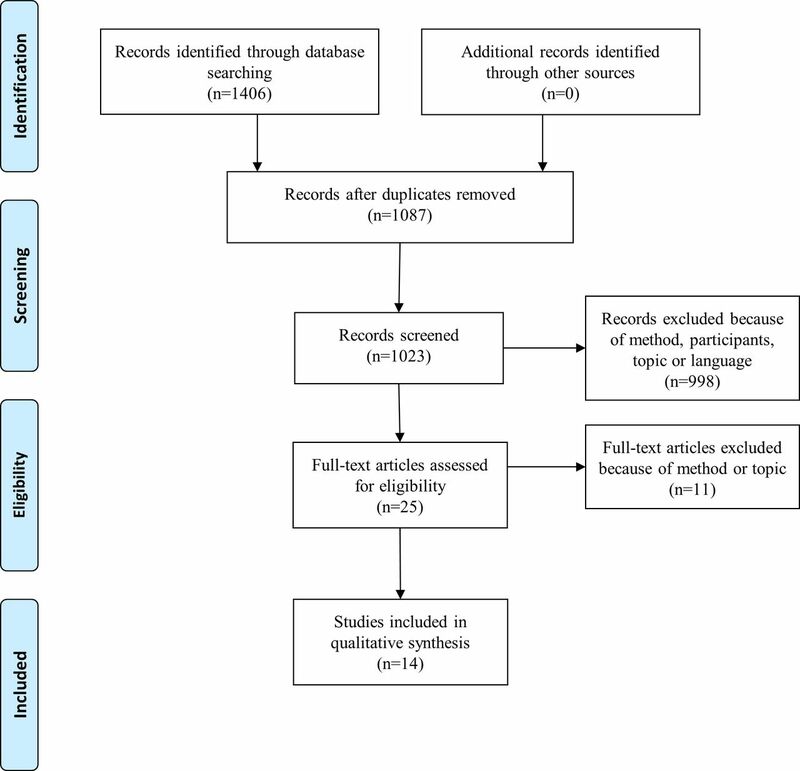 Figure 1 shows the Preferred Reporting Items for Systematic Review and Meta-Analysis flow chart for the selection of studies. PRISMA flow diagram for study selection. PRISMA, Preferred Reporting Items for Systematic Review and Meta-Analysis. Included studies were assessed for methodological quality and rigour using Critical Appraisal Skills Programme guidelines for qualitative studies19 (online supplementary table 1). No studies were excluded from this review based on their quality. Definition of the research question: what is the experience of the WTHD expressed by people with advanced illness? A literature search for references to studies for inclusion in the synthesis. Reading the studies in order to identify key and secondary concepts in each of them. Determining how the studies are related. To this end we created a chart showing the categories that emerged from the studies (more descriptive level), and this served as the basis for abstracting themes and subthemes from each study (more abstract levels that encapsulate the categories found in the different studies). To perform translation across studies, in other words, to ‘deconstruct’ the studies, identifying different metaphors or concepts on the basis of words or statements in the original articles. These translations were synthesised to generate different levels of themes, subthemes and final categories. Presentation of the synthesis of the studies was included, thus giving rise to a global understanding of the phenomenon and a response to the research question posed at the outset. Online supplementary table 2 juxtaposes the steps from the previous meta-ethnography and the updated meta-ethnography, and online supplementary table 3 shows the comparison of yield between the original review and the updated review. Atlas.ti V.7 software was used to code and memo significant statements to facilitate comparison of the themes and categories obtained by each researcher. Five main themes emerged from the analysis of the WTHD expressed by patients with advanced disease: suffering, which appeared as an overarching theme; reasons for the WTHD; meanings of the WTHD; functions of the WTHD; and lived experience of a timeline towards dying and death. Online supplementary table 4 shows the most representative statements for each theme together with its corresponding subthemes. The greater detail offered by the seven recent studies enabled the six themes from our previous meta-ethnography5 to be subsumed under new, broader categories without substantially changing their content (table 3). One new theme emerged from the present analysis: lived experience of a timeline towards dying and death. Table 4 shows which themes and subthemes were present in each included study. Suffering emerged as an overarching theme, confirming that the WTHD in people with advanced disease cannot be understood without taking their suffering into account. As a theme, suffering referred not only to physical distress (especially pain) but also to psychological, social or existential aspects. Thus, suffering was a complex and multidimensional phenomenon affecting the whole person, having physical repercussions and impacting both on their identity and their relationships with all aspects of their immediate environment. Suffering was a common denominator for understanding the other four themes: reasons, meanings, functions and lived experience of a timeline towards dying and death. This theme refers to the factors or rational motivations that led to a WTHD being expressed. As in our previous review,5 the WTHD emerged as a complex reaction to suffering that was related to all dimensions of personhood. Our analysis indicated that the theme reasons could be broken down into four subthemes: physical, psychological/emotional and social factors and the loss of self. Most participants referred to the loss of physical function; their illness prevented them from doing the things they once did, stripping them of their independence: ‘I lost my dignity, lying in bed in diapers, I am no longer the independent person I used to be’.9 The loss of function was also linked to a diminished quality of life. Many patients described severe and unbearable pain as a factor that triggered a WTHD. Pain ‘affected the wholeness of their beings’,22 and their lived experience: ‘pain affects everything. It makes you tired. It affects how you can eat. It affects other people, and the fact is that even if you try to hide it, you can’t. […] pain takes that life out of you’. Some patients experienced intense and uncontrollable pain but stated that were it not for this they would want to go on living: ‘It is torturous… thinking when I am going to die to escape from this suffering. But when I am not in pain, I want to live. When the symptoms disappear, I want to continue living, as I do not want to depart from my loved ones’.22 Likewise, some participants9 stated that their request for euthanasia stemmed from the continuous pain they suffered. In many cases, they feared becoming a burden on others and making them suffer. For others, however, it was linked to a loss of control over their illness (due to ineffective medical treatment) and to a feeling of helplessness to the sense that nothing could remedy their situation. This subtheme comprised two categories: fear and hopelessness. Fear was expressed in most interview studies, encapsulating fear due to uncertainty, fear about future suffering and fear of the dying process. Fear due to uncertainty was linked to inadequate knowledge about prognosis and to not knowing what lay ahead. In most cases, fear was associated with a loss of control over bodily functions and over one’s life and circumstances, as well as with physical, and functional decline, and the thought of becoming a burden on family. Many patients, aware of their progressive deterioration, foresaw a death that would be painful both for them and their relatives, and hence they experienced a fear about future suffering. The experience of pain and distress, combined with a loss of function, led some to expect an unbearable suffering ‘worse than death itself’.9 21 23 24 In some interviews, pain or suffering was explicitly mentioned as ‘the biggest fear’.24 Some reported that they would rather die than suffer further pain of the kind they had already experienced. The fear of the dying process resulted from patients’ expectation that they would be unable to express their needs, wishes or problems due to frailty or cognitive impairment.21 This fear was linked to not knowing whether the future would be marked by intense suffering. For many, social factors, such as being a burden on others, making loved ones suffer, or being dependent, and in need of help, were another cause of suffering and a reason for expressing the WTHD. The idea of causing others to suffer frequently caused patients themselves to suffer. For some, observing their own deterioration and the impact of this on loved ones, was more difficult to bear than their own suffering. Related to loss of function was increased dependency on others resulting from a deteriorating state. In some cases, this dependency left many patients ‘at the mercy of others’9 and feeling useless. Participants complained about needing to be fed, washed or dressed by others1 7: ‘It’s horrible […] the whole situation. […] Not being able to get out of it, and every morning the same thing: waking up, being washed, lying there till the evening, the same pain’.4 For those who had been highly independent prior to their illness, or who had a high level of professional responsibility at work, the change in role (ie, to dependency and vulnerability) impacted enormously on their way of life, with some finding this difficult to accept. Many participants attributed the WTHD to a perceived loss of self or of identity, due to the impact of their illness on their life. Physical, psychological and social factors (suffering; dependency; loss of control, both mentally and physically; loss of self-esteem; or feeling a burden on others and so on) combined to severely undermine their self-image and their sense of who they were: ‘she was going to lose significant ability to be the person she was’.23 Some studies referred to the loss of self as a loss of the essence, loss of personality, loss of the sense of dignity23 or destruction of the self.24 When participants felt vulnerable, looked down on or inferior with respect to others, then the loss of self was heightened. In some cases, this led the individual to feel a loss of community,1 that is, a loss of close personal relationships accompanied by feelings of isolation, and a lack of understanding. Some patients did not wish to succumb to a situation over which they had little control, and thus the WTHD emerged in response to a perceived lack of purpose or meaning in life: ‘I’m just saying to myself when I go to sleep, ‘Just let me die.’ I don’t want to have to wake up and face this. […] I have nothing to live for, absolutely nothing. There’s nothing coming up in my life that I am living towards, and if there was it would be so terrible because it probably wouldn’t happen’.6 For patients such as this, losing what made life worthwhile and relevant strips them of the will to live. This loss of self is associated with a broader series of losses (of quality of life, of autonomy, of the ability to perform daily life activities and so on), such that illness is experienced as progressive loss that will cease only in death. Our analysis suggested that the meanings attributed by patients to the WTHD could be categorised into five subthemes. The WTHD was also seen as a way of preserving self-determination, autonomy or control through to the very end of life. For some patients, the possibility of putting an end to their life, and of exerting some control, became more important as they began to lose more of their capacities. Analysis of the reviewed studies suggested that the WTHD can serve two possible purposes or functions: a means of communicating and a form of control. For some people, their WTHD fluctuated over time. In these cases, the wish to live might become stronger as reasons why the person had wished to die became less prominent (eg, their physical pain lessened). However, the balance could then tip the other way depending on their circumstances, such that, at times, a wish to die and a wish to live might both be present. Five years on from our previous meta-ethnography, the inclusion and analysis of seven additional studies has brought greater understanding of the WTHD. Using an approach that France et al 15 refer to as ‘extending and renovating the house’, the inclusion of recent literature has enabled us to reclassify categories from our original synthesis into a new set of themes. The new analysis also yielded an additional theme not present in the earlier review. Statements from participants in the additional studies, as well as theorisation proposed by study authors, were key to this reconceptualisation. Although suffering emerged as the common theme underlying the experience of the WTHD, one participant in the study by Ohnsorge et al 4 stated that she was not suffering but because she knew that she would die soon, she wanted death to come faster (without actually having the WTHD). While this is the only case we identified where a WTHD was expressed outside a context of suffering, we do not rule out the possibility that other similar cases may exist. Just as for some patients, death was seen as release from their illness, the patient referred to above seems to have gained some relief from the knowledge that her illness was progressing and that death was imminent. The second theme, reasons, captures how a WTHD can represent a response to physical, psychological/emotional and social factors in the context of intense suffering and a perceived loss of self. Although physical pain was for many years considered the primary cause of the WTHD, studies conducted since the late 1990s offer a more complex view.26 Thus, while several authors report a close relationship between the WTHD and, for example, greater functional impairment and dependency,27 28 there is evidence to suggest that psychological and emotional factors play an important role in the emergence of such a wish.3 5 26 In terms of a person’s subjective experience, it is not possible to separate physical symptoms and functional impairment from the impact they have on the person’s relationship to his or her surroundings, and the psychological or existential suffering that results. Indeed, physical pain and loss of functionality are inextricably linked with all other aspects of the self and, as such, they may, for example, lead to feelings of hopelessness and helplessness, making it difficult for the patient with advanced disease to find meaning in life. This multifaceted suffering, which cannot be reduced to its constituent parts, exemplifies what Cicely Saunders29 referred to as ‘total pain’. Some participants felt that were it not for their physical pain, they would not wish to die. However, other statements made by patients indicate that the experience of pain cannot be understood in isolation from its impact on the person’s psychological and emotional state and their relationship with the immediate environment. These apparent contradictions may reflect how researchers have explored or assessed pain in this context, since instruments used in cross-sectional studies are unable to capture the full intensity and experiential impact, with qualitative research offering a more nuanced holistic account of the experience of pain. In our synthesis, psychological factors are prominent as triggers of the WTHD. Quantitative studies, assessing psychological factors related to the WTHD, could add valuable, complementary information to the findings of the qualitative studies. Depression, for example, has been widely reported as a mediating factor for the WTHD.30 31 In a study by Breitbart et al,30 it was observed that patients who presented the desire to die were four times more likely to be depressed than those who did not. In another study, Akechi et al 31 showed that, of a sample of 1721 patients, 220 were diagnosed with major depression and that 51.4% of these had suicidal ideation. Similarly, it is important to explore and evaluate hopelessness, helplessness, purposelessness and so on, recurrent states for those who experience the WTHD, as demonstrated by the majority of the participants in our analysis. Another aspect that was prominent in our synthesis was that many patients referred to the fear of future physical symptoms or future suffering rather than actual current physical symptoms. Our analysis identified that many patients had already experienced episodes of acute poor symptom control with past experience leading them to be fearful when anticipating the future process. In this way, we can further confirm an overlap between physical or psychological factors. Furthermore, we can see how the symptom picture offers a basis for the psychological response to the situation being encountered: in this case, through fear. While the authors of the included studies identify diverse reasons for the WTHD, these are, in fact, inter-related. In some cases, it is difficult to differentiate the physical, psychological, emotional, social and existential dimensions of patients’ experience. Thus, for example, although aspects such as meaning in life or loss of the sense of dignity are often described as psychological/emotional/existential issues, in our analysis, they relate to the subtheme of loss of self, in other words, a loss of identity that covers all dimensions of personhood. The third theme that emerged from our synthesis was meanings. Identifying the meanings the WTHD may hold (other than simply a desire to die) is crucial for understanding the complex and dynamic nature of this phenomenon. Some studies point out how the WTHD can fluctuate over time,42 43 such that an individual may experience contradictory wishes.7 10 24 Such cases highlight the need for caution when exploring the meanings that a given individual may attribute to the expression of a WTHD. Furthermore, although the meanings identified in this updated review were derived from the statements made by participants, the meaning of a WTHD may also be influenced by the values and moral understanding of patients.10 44 In this respect, it is important to explore the cultural and personal background of a patient who expresses a WTHD so as to be able to properly contextualise what is being expressed. The final theme, lived experience of a timeline towards dying and death, contextualises patients’ statements within a temporal framework. The experience of time only appeared explicitly (ie, as a theme identified in the data analysis) in one study.21 However, when patients in other studies spoke of their experience of progressive deterioration, fear, anguish, hopelessness and loss of control and so on, they made implicit reference to their life past, present and future. This temporal aspect of the WTHD, captured not only in qualitative studies,45 highlights the importance of a more detailed exploration of patients’ experience when seeking to address their doubts and concerns. This updated review and synthesis of the published literature on the WTHD has brought a more detailed understanding of the phenomenon. For the present qualitative analysis, two researchers (AR-P and ABo) joined two authors from the previous meta-ethnography (CM-R and ABa), and this triangulation of researchers46 injected a fresh perspective. Inclusion of studies from countries beyond those from the earlier meta-ethnography (specifically, Germany, The Netherlands, Switzerland and Thailand) increases the transferability of results. So far, we have been unable to identify published studies of the WTHD in Africa, South America and the Middle East. As in our previous review, we achieved data saturation in the present study. Only one new theme (‘lived experience of a timeline towards dying and death’) was identified, a theme already implicit in the earlier meta-ethnography. Other themes that emerged encapsulated previously identified themes, which were here reclassified and reconceptualised. One limitation of the present study concerns the difficulty of synthesising findings from primary qualitative studies. Not all studies used the same conceptualisation of the WTHD, and the research objectives of some studies only touched indirectly on the phenomenon. Likewise, not having access to the original interviews limits the available data. The analysis necessary to reach a categorisation entails a somewhat forced dissection. For example, the subthemes physical, psychological/emotional and social factors were treated independently in order to be able to analyse them in more depth. However, in the experience of illness, these factors, like the majority of those analysed, are interlinked and inseparable. The WTHD is a complex phenomenon to which various reasons, meanings and functions may be attributed. This highlights the need for professionals to be trained so that they can respond to and understand the impact of a life-threatening illness on the individual. Healthcare professionals have an important part to play; they are able to acknowledge the meaning of physical symptoms and physical suffering and the role of tending to family members and social factors (including available strategies to guide clinicians in caring for families of dying patients). Additionally, the finding from our qualitative data offer a detailed insight into the fact that frequent symptoms and features of depression (hopelessness, helplessness, loss of self esteem and related sense of burden to others) have important clinical implications for the importance of identifying, assessing and effectively treating depression in this context. Furthermore, an understanding of the factors that can trigger a WTHD may help to prevent its emergence. From a quantitative perspective, many studies have linked the emergence of the WTHD with the aforementioned factors. Some of these even analyse predictors of the WTHD.28 33 52 53 For example, Rodin et al 54 used a structural equation model to support the view that depression, hopelessness and the desire for hastened death represent final common pathways of distress determined by multiple risk and protective factors. Vehling and Mehnert,53 using a similar methodology, showed that loss of dignity partially explains the positive association between the number of physical problems and demoralisation in cancer patients. Robinson et al 33 suggest that depressive symptoms, loss of meaning and purpose, loss of control and low self-worth are relevant psychological mechanisms that probably contribute to the development of a desire to hasten death in palliative care patients. Recently, Guerrero-Torrelles et al 55 show a model whereby meaning in life (specifically in the sense of diminished meaning) and, to a lesser extent, depression have a mediator effect on the relationship between physical impairment and the WTHD in patients with advanced cancer. Nevertheless, the large majority of quantitative studies have cross-sectional designs, which limit the possibility of establishing causality, as well as only studying variables that could be quantified. In this sense, qualitative studies offer a more in-depth study of the phenomenon as a whole. It has recently been suggested28 that proactively asking patients about a potential WTHD could be beneficial. Further studies are required to explore this strategy. Given that social factors contribute to the emergence of a WTHD, future research should explore how the expression of a WTHD is experienced by the person’s relatives and what meanings it may have for them. Systematic guidelines regarding the WTHD are needed to help healthcare professionals respond adequately to the needs of these patients. The WTHD in patients with advanced disease cannot be understood outside the context of their suffering, a prerequisite for its emergence in this population. However, every expression of a WTHD will have associated reasons (the whys) and functions (for what purpose), and its meaning may vary by cultural background and lived experience to not necessarily be synonymous with a genuine desire to die. In countries where EAS have been decriminalised, the expression of a WTHD may be seen as a way to end suffering. All these aspects underline the need to explore the reasons, meanings and functions that a person attributes to such a wish, as only by doing so will we be able to understand his or her experience and develop appropriate individualised care plans. The authors would like to thank Alan Nance for his contribution to translating and editing the manuscript and Amor Aradilla for her contribution at the beginning of the analysis process.
. Meta-ethnography: Sinthesizing qualitative studies. Newbury Park: Sage, 1988.
. Critical Appraisal Skills Programme. Ten questions to help youmake sense of qualitative research. Oxford, 1999.
. THE LAS STAGES OF LIFE. Am J Nurs 1965;65:70–5.
. The demoralization scale: a report of its development and preliminary validation. J Palliat Care 2004;20:269–76.
. Demoralization syndrome--a relevant psychiatric diagnosis for palliative care. J Palliat Care 2001;17:12–21.
. Constructions of dignity in end-of-life care. J Palliat Care 2001;17:93–101.
. End-of-life ethics from the perspectives of patients’ wishes. In: Rehmann-Sutter C , Gudat H , Ohnsorge K , eds. The Patient’s Wish to Die Research, Ethics, and Palliative Care. 1st ed. Oxford: Oxford University Press, 2015. Contributors CM-R and ABa designed the study. CM-R collected data. CM-R and ARP conducted data analysis. ARP, CM-R and ABa wrote the manuscript. ABa and ABo made substantial contributions to the identification of relevant literature, the interpretation of findings and were involved in drafting the manuscript and revising it critically. All authors gave final approval to this manuscript. Funding This study was supported by the Junior Faculty programme grant, cofinanced by L’Obra Social ‘La Caixa’, the Instituto de Salud Carlos III (PI14/00263) and the European Regional Development Fund (FEDER). We are also grateful for the support given by Recercaixa 2015 and WeCare Chair: End-of-life care at the Universitat Internacional de Catalunya and ALTIMA. Data sharing statement All data supporting this study are provided as supplementary information accompanying this paper. Further information can be obtained from the corresponding author.